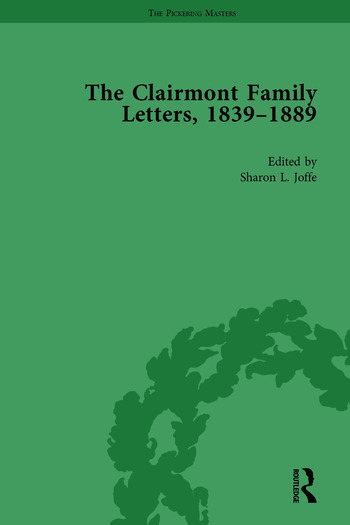 This book is the first of two volumes in an edited collection that brings together the unpublished letters of the extended Clairmont family, for the first time. The letters, housed in the Carl H. Pforzheimer Collection of Shelley and His Circle at the New York Public Library, inform our understanding of the Shelley-Godwin circle through the experiences and thoughts of their descendants. The correspondence also enables us to see into the contemporary social history of nineteenth-century families living in Europe and Australia, dealing with subjects such as the conflicts in Europe, woes in the European financial markets, and the effects of Australian pioneer life on immigrants to that country.